They brought a man back to life with this one weird trick…Stimulating his Vagus Nerve….After being in a “vegetative state” for 15 years. What is the Vagus…or is it Vegas Nerve? Not to be confused with Vegas – land of Elvis Presley impersonators, and spur of the moment weddings…The Vagus Nerve emerges from the brain stem from either side, and leaves the skull near the top of the neck. It goes everywhere in your body, including stimulating the heart and lungs. Right now miniature nerve simulators are being implanted into the body to activate the Vagus Nerve and treat all kinds of problems. Stimulating the Vagus Nerve is being used to treat epilepsy, depression, chronic pain, and other complicated issues. As it happens, doctors began stimulating the Vagus Nerve in a man who had been in a non-responsive state for 15 years. After a few months, he showed more active areas in his brain, began turning his head, smiling, and responding to music. 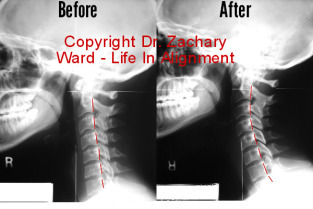 Do upper cervical chiropractors see changes in the Vagus? Changes in the state of the Vagus Nerve may be behind some of the body wide changes we get in digestion, heart rate variability, and even chronic pain. This is just one more story that shows the extreme response the body can make when the Vagus is involved. And why the state of the the Vagus nerve shouldn’t stay a secret. Read this post on our Facebook Page.